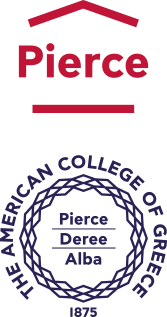 The American College of Greece | Great Week for the DEREE Intercollegiate Teams – Won All Games Played During the Week!!! Home » Current Students » Athletics » Athletic News » Great Week for the DEREE Intercollegiate Teams – Won All Games Played During the Week!!! Great Week for the DEREE Intercollegiate Teams – Won All Games Played During the Week!!! 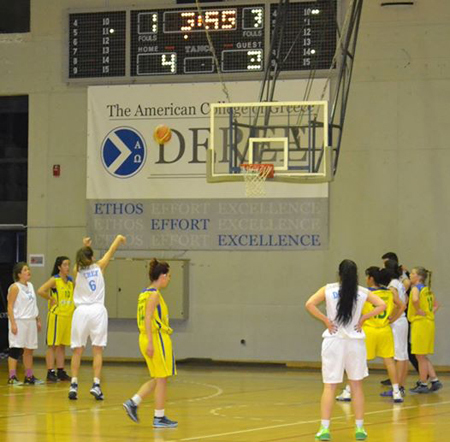 Contributing to a very successful week for our DEREE athletic teams were the Women’s basketball team who showed great determination and team work beating G.S. KOROPIOU 52-41 on Wednesday night. This was the second consecutive win for the team taking them to 7th place of the championship standing. Congrats and keep it up girls! Congratulations to the DEREE Men’s Soccer team for an excellent game against Apollon Galatsiou. Our team won 8-3(!) and is now in the 4th place of the CL championship standings. 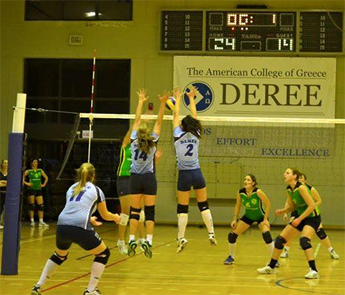 The Women’s Volleyball team showed that hard work pays off in last night’s game against KOROPI beating them 3-1. While the game did not start off as planned giving KOROPI a 0-1 lead, our girls entered the second set more concentrated and determined, giving them 3 consecutive sets for the win. Looks like the team’s practice and determination this week paid off! Bravo team! Keep it up!! 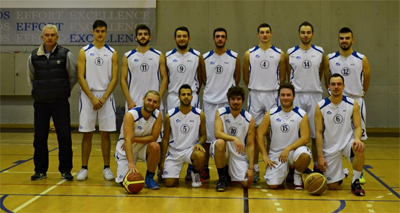 The Men’s Basketball team started the winning streak by checking a big win 60-45 against ATLANTIS, the top team in CL standings. Our team fights for the first place! CONGRATULATIONS TO ALL / STUDENT-ATHLETES & COACHES !! !